For more than a month, at least 1,500 federal employees in Connecticut have either been furloughed or forced to work without pay because of a politically-motivated shutdown of government in our nation's capital. With no end in sight, the workers who live across our state are struggling to pay their bills and keep food on the table while they wait for their paychecks to resume. To help our friends and neighbors, we passed, by an overwhelmingly bipartisan vote, legislation making available unemployment assistance, interest-free loans of up to $5,000, and other helpful resources. 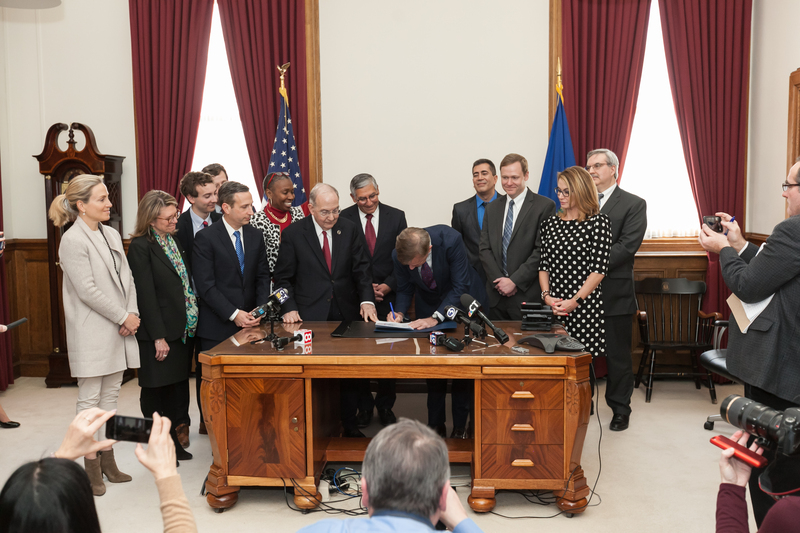 The legislation enables a private/public partnership with the CT Bankers' Association and participating banks. It makes interest-free loans of up to $5,000 available to each worker. The idea for the partnership – the first of its kind in the nation – was developed in cooperation with Governor Lamont and the state’s banking community. “This unique and innovative partnership will help federal workers access the funding necessary to pay their bills and put food on the table during the shutdown,” Governor Lamont said. “Its quick, bipartisan approval by the General Assembly is an example of what we can accomplish when we partner with the private sector and come together as leaders, rather than Democrats or Republicans." The legislation permits federal workers who live in the state to receive loans from banks and credit unions that amount to one month’s net pay. In the event that the shutdown continues for an extended period of time, participating banks and the state will work with impacted employees to provide additional funds. Federal employees who are interested in applying for a loan under the partnership should contact the bank or credit union of which they are a member to determine whether it is participating. If it is not, loans may be available through a bank or credit union other than that employee's usual financial institution. In addition to creating this loan program, the legislation permits municipalities to defer property tax payments from impacted federal employees and prepares the state’s unemployment insurance system to offer benefits to essential workers if the requisite changes are made to federal law.